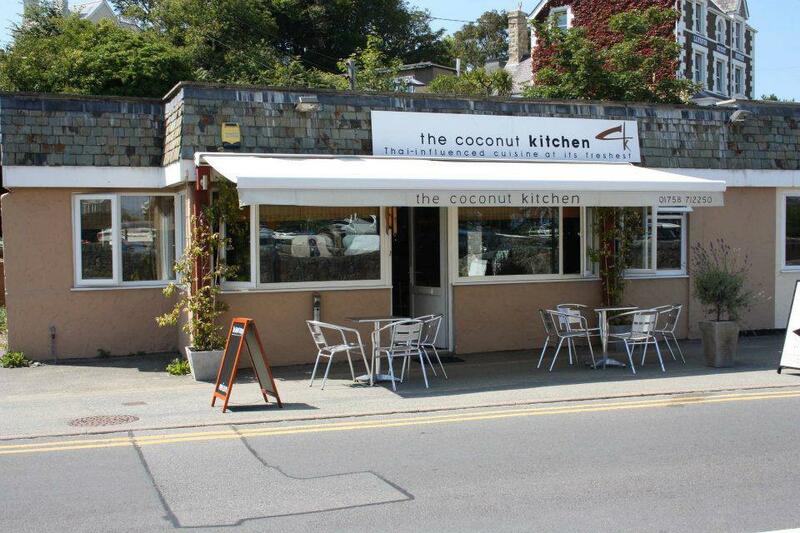 The Coconut KItchen Voted Best Oriental Restaurant in Wales at the FOOD AWARDS! The Coconut Kitchen Thai restaurant in Abersoch won the award of “Best Oriental Establishment” at Monday’s glitzy award dinner held at the Mercure Holland House Hotel in Cardiff. A tremendous effort was made from the Welsh public, as thousands of nominations were received for the inaugural Food Awards Wales. The awards aim to recognise the hard work and efforts of the Welsh food industry. Accolades include restaurants, takeaways, gastro pubs, hotel restaurants, cafes and bistros, as well as shine the spotlight on the wonderful local producers who supply their delicious ingredients. The Coconut Kitchen had been shortlisted for their category and faced some stiff competition from top Japanese, Thai and Chinese restaurants in the Capital and throughout Wales. The black tie ceremony was hosted by Capital 1’s breakfast presenter, Polly James. As well as the Awards, the event will also helped raise funds for the official charity partner, Make A Wish Foundation UK granting magical wishes to children and young people fighting life-threatening conditions. Yasmin Mahmood of event organisers Creative Oceanic commented “After the great success of the Food Awards England and Wales which were held in Manchester last year, it was apparent the Welsh food industry deserved a greater platform for recognition. For more information regarding the event contact Creative Oceanic on 0844 8793 256 or email events6@creativeoceanic.co.uk. Creative Oceanic – website: www.creativeoceanic.co.uk. Creative Oceanic, are organizer’s of all aspects of the Awards from the event management – including ticket sales and sponsorship – straight through to the public and media relations aspects.